The view of this site reminded me of Bollywood movie scene where unmarried mother puts her baby in a dustbin. She is helpless. After all she is an unmarried mother. 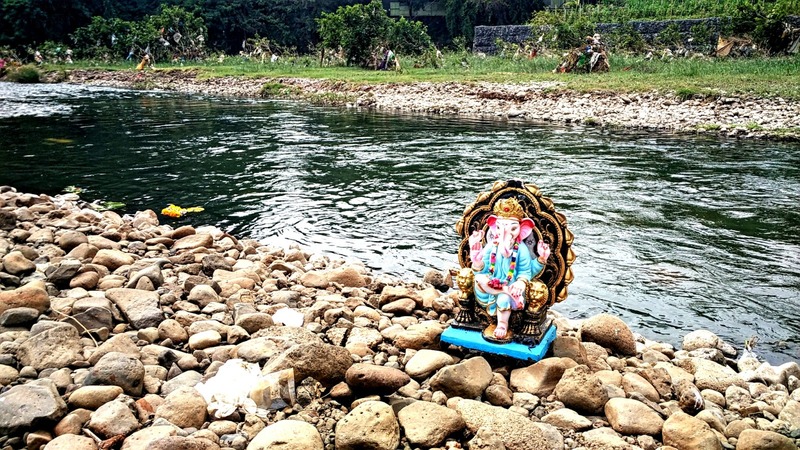 Who are we to disown the Bappa in same fashion? 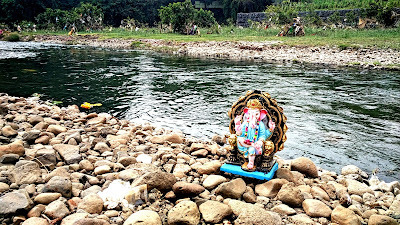 So I have decided that from next year I will make my own Bappa and will not abandon him like this or even drown not to dissolve either. Treat Bappa as a member of your family and have proper preparations for his arrival, stay and please avoid such unceremonious farewell.